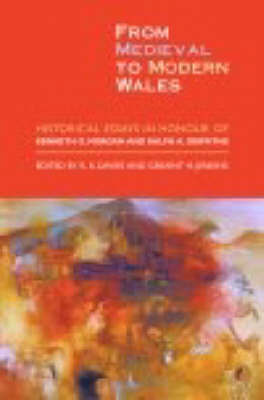 This volume of historical essays is a collective tribute, on behalf of the whole community of the historians of Wales, to Kenneth O. Morgan and Ralph A. Griffiths who, on behalf of the University of Wales Board of Celtic Studies, have edited The Welsh History Review / Cylchgrawn Hanes Cymru for the better part of forty years, during which the academic study of the history of Wales has come of age. Over the past two generations The Welsh History Review has played a vital role in the transformation of the history of Wales as a rigorous scholarly subject. The volume contains an appreciation of the contribution of the two editors to the shaping of Welsh historiography by Glanmor Williams (the founding father of The Welsh History Review) and Ieuan Gwynedd Jones. This is followed by fifteen essays written by a team of leading Welsh scholars whose contribution reflect the chronological range of The Welsh History Review and the ecumenical eclecticism which has been the hallmark of the journal. The essays deal with the evolution of Welsh society from the medieval period to the twentieth century and cover a range of topics, including ethnic identity, architectural patterns, social mobility, church and dissent, Welsh mission fields, and modern nationality.